Dale Stanton talks about the Red Bull Lighthouse to Leighton race. FKM: Congrats Dale, you took out the twin tip category (and weren’t too far off the foils on 10+ year old board! ), what convinced you to ride a twin-tip in this year’s race? How did you choose your twin tip for the event? DS: I entered the twin tip category for a few reasons, the first being that I have completed the crossing on a foil, race board, standard kite surf board and some custom slalom style boards. The next choice was a twin tip… back to where it all began! The other reason is I no longer have any race gear and found my old 2004 icon that I used in the Geraldton National Freestyle titles. It was an epic board for freestyle and is super fast. I thought it would be half a chance to win on it. Peter McKewen eventually got the gong after several top competitors ran into inconsistent wind conditions. FKM: What type of speeds do you think were achieved in this year’s race? DS: With the wind dropping out for all competitors in the last couple of km, the times are completely blown out. For this race when there was wind, probably in the 23-25 knot mark based on experience..
FKM: What do you make of the “serious” race scene and it’s equipment? Is specific gear a necessity to be competitive these days? DS: I’ve already had a Spotz 1 foil it was wicked fun, I sold it a couple of seasons ago with the intent of upgrading.. Its an amazing piece of equipment. Its epic to see the major kite brands making hybrid versions that double as a skimboard/surfboard and at a reasonable price. Hudson rode the new cabrinha model in the race. The race scene is definitely all foils now and still evolving but nearing its peak in terms of development. I’m looking to work on another secret board design for the L2L specifically for a 25 knot day and 2-3m swell with lots of weed. One day we’ll see these conditions and the foils will fall to pieces :-). For now I’ll be trying to convince Cabrinha to remake the Icon for 2016, a limited edition model. The L2L special! FKM: The Lancelin Ocean Classic promises another opportunity for WA’s growing distance race scene continue evolving, what are you looking forward to up there? 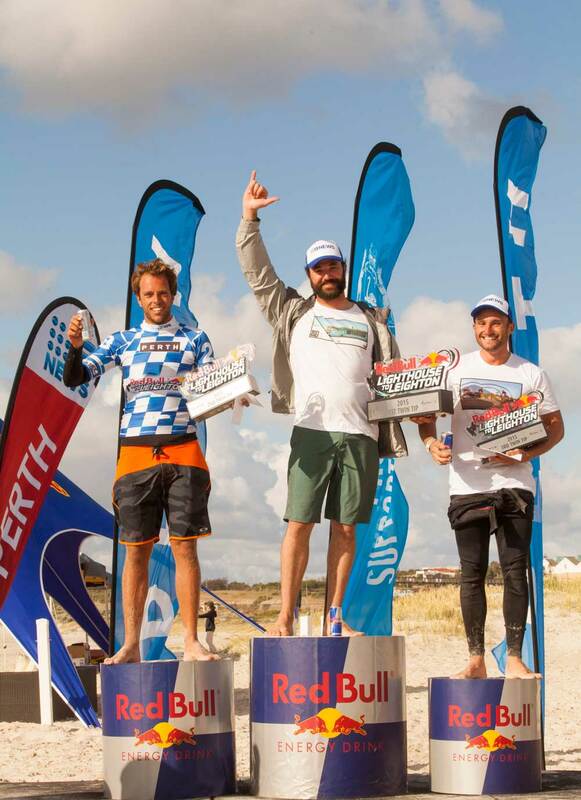 DS: The Lancelin Ocean Classic will also sort out the foils and could very well be won by a twin tip or surfboard because of the amount of weed and swell up there… I can’t wait!!!!! It’s fantastic to be racing with the windsurfers on the same day to see how the times compare. 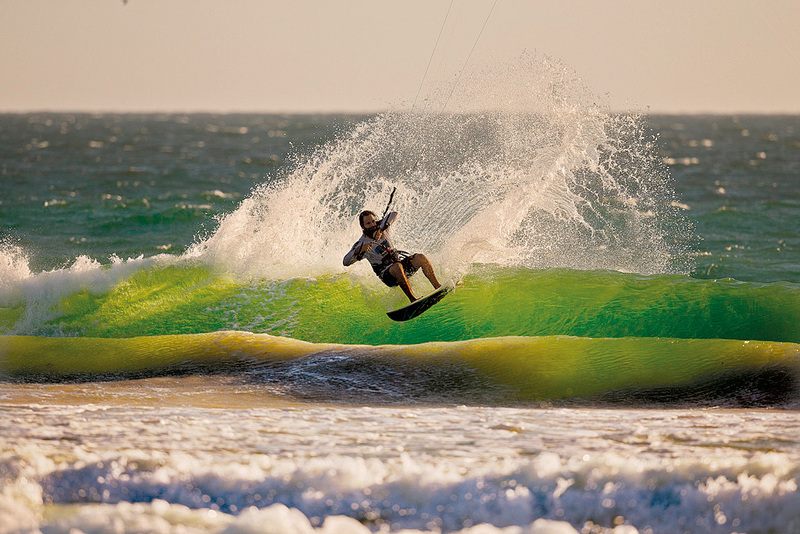 Dale in action in the waves at last year’s Lancelin Ocean Classic. 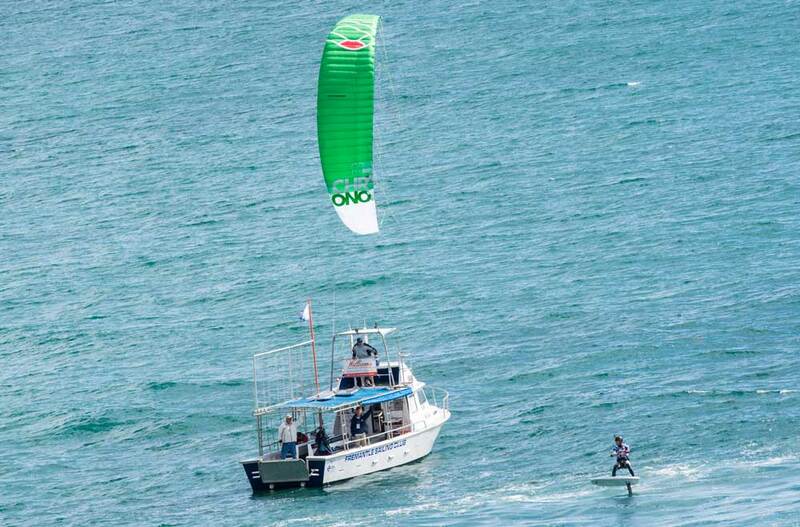 This year’s event now includes kites in waves/freestyle and the famed marathon distance race.